EU, AU signal support, but no acclaim, for Congo president-elect – Royal Times of Nigeria. The European Union and the African Union said on Tuesday they had taken note of the decision by the Democratic Republic of Congo’s Constitutional Court to back disputed president-elect Felix Tshisekedi, signaling they would work with him. Asked about the December thirtieth election, the EU and the AU said they discussed the outcome at a meeting in Brussels, noting the court’s support for Tshisekedi. Officials at a news conference did not explicitly say in public that they recognized him as the winner and declined to congratulate him, however. 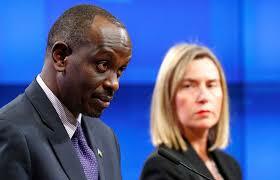 EU foreign policy chief Federica Mogherini told a news conference today that the European Union would continue to work closely with Congo. Rwanda’s Foreign Minister Richard Sezibera, who represented the African Union at the meeting of the two region’s foreign ministers, also said he noted the court’s decision. Congo’s Constitutional Court early on Sunday rejected runner-up candidate Martin Fayulu complaint that the election was rigged and backed Tshisekedi’s victory, opposition to the vote appears to have softened. 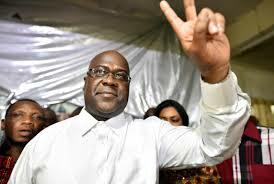 Tshisekedi is expected to be sworn in on the twenty-fourth of January.